It was a dream piece but I just didn't love it as much when I had it so I decided to sell it. 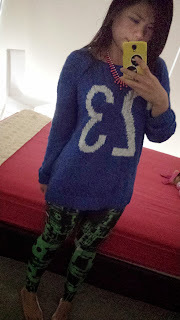 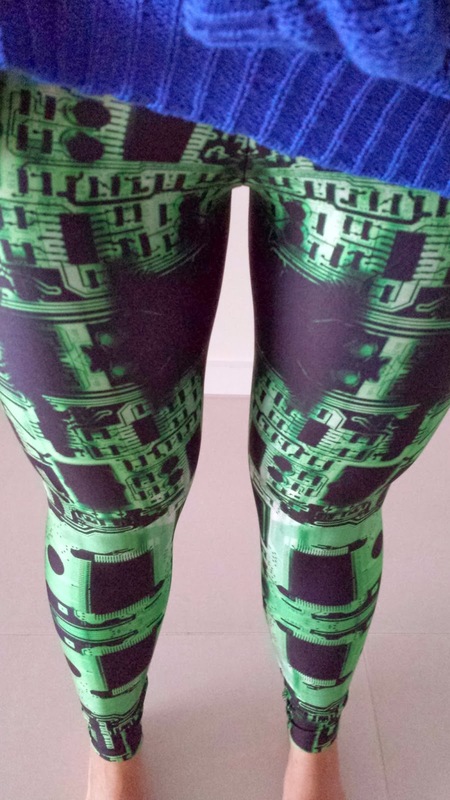 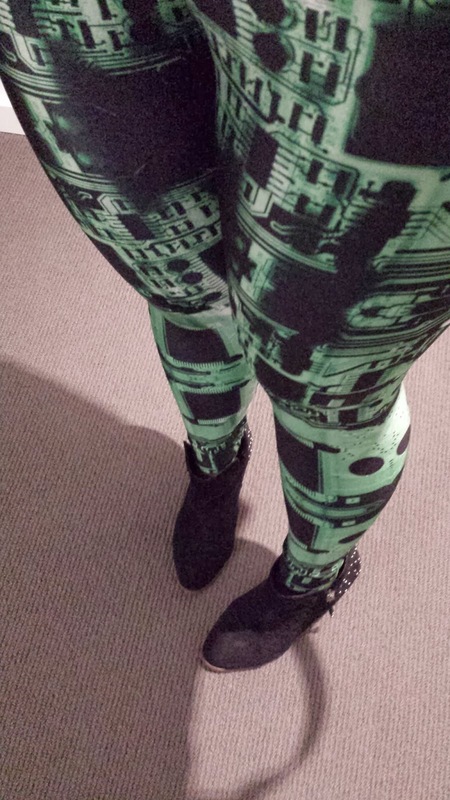 The idea of circuit board on my legs was cool though, but it just really didnt translate well onto print? 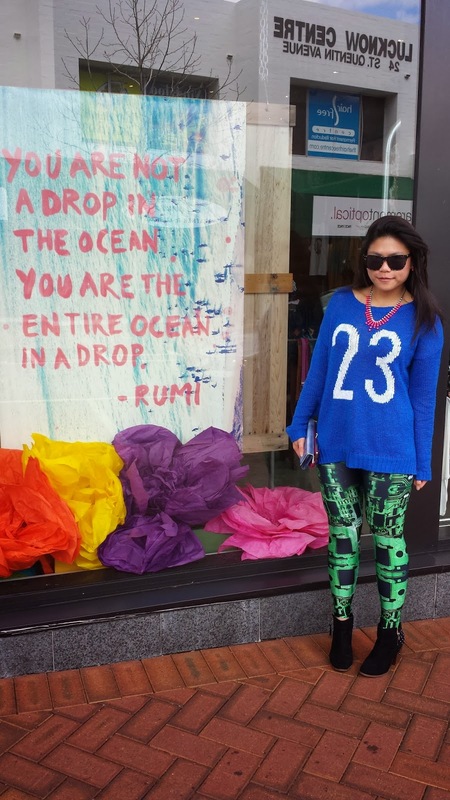 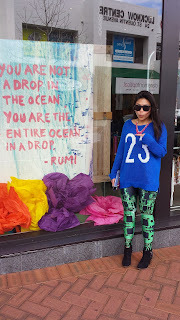 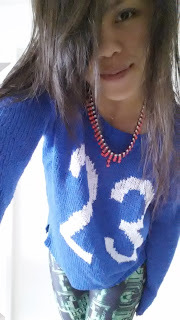 Paired it with a blue 23 sweater because it is one of my favourite numbers! Abit too bright but what are Monday mornings for?